Developing an e-commerce website is not easy as building a static website since there are many modules requires to be developed entirely. If you start from scratch and do all the coding, and designing, then it might take a lot of time and energy to develop the website fully. Even though, robustness, flexibility and security can be prime concerns that need to be taken care of. OMG! There is so much that has to be done. In such situations, it is best to take advantage of website builders that help you create websites without any knowledge of coding and designing. You just need to set things up, and your eCommerce website gets ready in no time comfortably. One of those Website builders is Wix.com, and they offer WixStores â an e-commerce website builder that is the easiest and most affordable DIY online store builder that you must opt if you requiring build an e-commerce website. What is wix.com all about? Wix.com is a leading website builderÂ that was founded in 2006. It allows you to build stunning websites instantly at no cost. At the time of writing this review, it has 63,989,970 users and counting. It was started with a vision to offer people to create websites without having any knowledge of coding. Social integration and blog implementation are one of the contemporary features it offers. A wide range of templates allows you to create different kind of websites be it a blog, static site, information site or news sites and even e-commerce websites. Creating an eCommerce website with WixStores is so easy that anyone can put up his/her business online. As said earlier in the post, WixStores is an e-commerce website builder that allows you to create the stunning store to sell products online. Moreover, the good thing is, the store you create with WixStores, is fully mobile optimized which has become indeed important after Googleâs Mobile friendly update. Tracking orders, shipping, getting payments and all other functionalities of an e-commerce website that requires are automatically integrated with the websites. You donât have to do anything! How to Build a Website with WixStores? If you are planning to sell something online, you would need an online store where you can showcase your products so that users find your store, select products, make payment and then the product will be shipped to them. 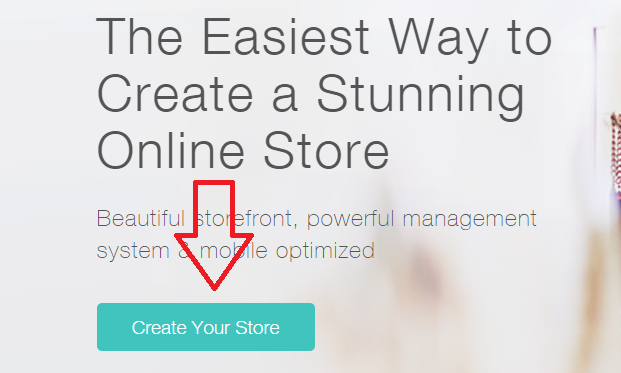 You may follow this step-by-step procedure to create your brand new store through WixStores. Now, you can sign up either with FB or Google or with your email. I have signed up with Google here. Now click on âStart Creating Nowâ which will redirect you to template page where you can see categories as well. Just select âOnline Storeâ as category and to be more specific, you can also select your websiteâs Sub-category. However, you can add an online store to any template, regardless of whether it was in the âonline storeâ category. Once you click on the subcategory of your choice, it will display templates related to it. Suppose you select Fresh Juices template for your store, then the next thing you have to do is to click on edit button that will open this template it editable mode where you will have all the HTML controls to edit it. Now you can make it look like as you want and need. Now, you can see in the left pane, there are options that would help you edit the whole template, and even you can directly click on any part and edit that. For example, I clicked on the Fresh lemons and oranges textbox, and it becomes editable and few options started showing there. Now click on Save to save your website. 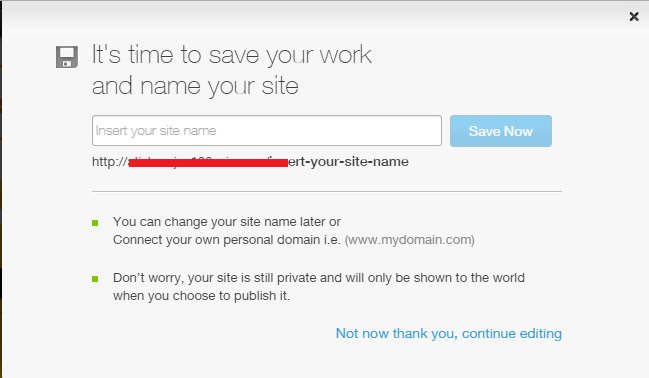 It will ask you to enter the name of your site. Just do it and click on Save now. Once youâve finished with all the editing, addition, and other stuff that requires building the site, click on publish button. 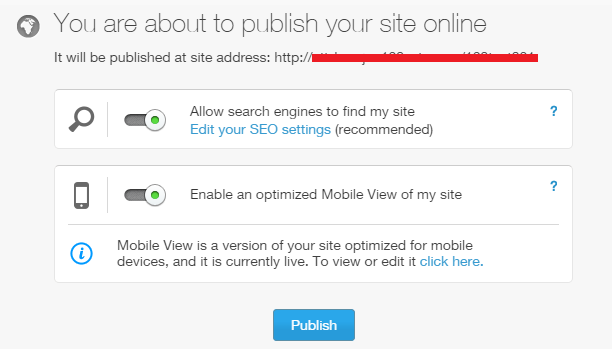 If you want to edit the SEO settings, then do it or just hit on Publish button. Congrats! Your new online store is live now! You can visit the site at the address shown on the page.